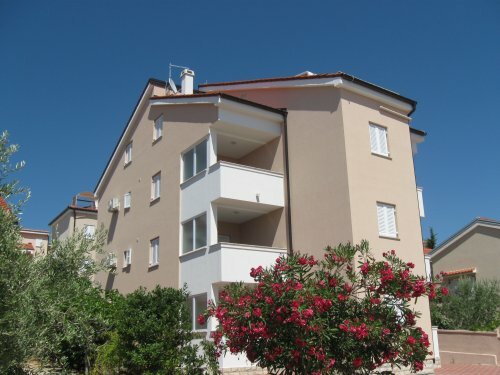 House Božena is newly built, close to the local beach, as well as town center. There are various restaurants and bars in vicinity. Private parking space is located in front of the house. All the apartments of the same type are identical size and uniformly furnished. Apartment sleeps up to 4 people with 1 bedroom with doublebed, a kitchenette and living room with pull out sofa for 2 person and an en-suite bathroom with a shower. There is also a terrace/ balcony. Wifi is available. Apartment sleeps up to 6 people with 2 bedrooms with doublebeds, a kitchenette and living room with pull out sofa for 2 person and an en-suite bathroom with a shower. There is also a terrace/ balcony. Wifi is available.